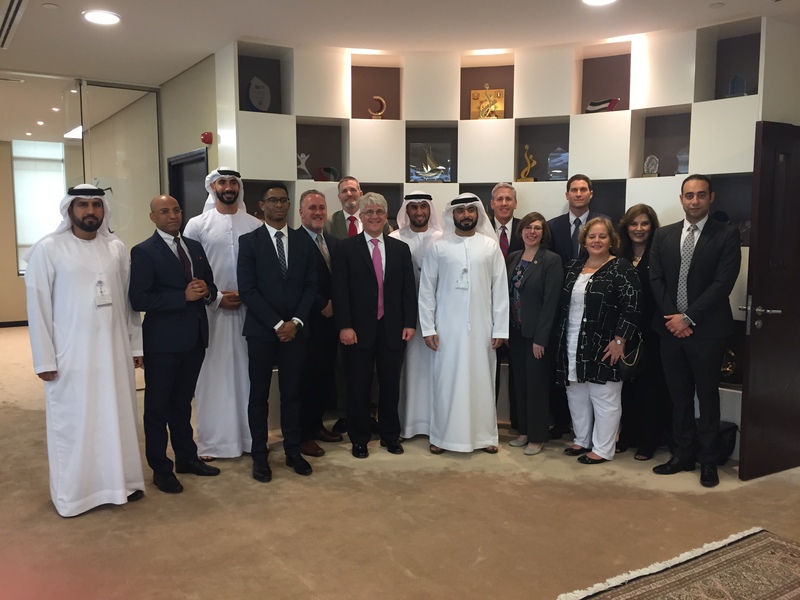 U.S. Trade Delegation Visits the U.A.E. The U.S.-U.A.E. Business Council, the Trade and Commercial Office at the U.A.E. 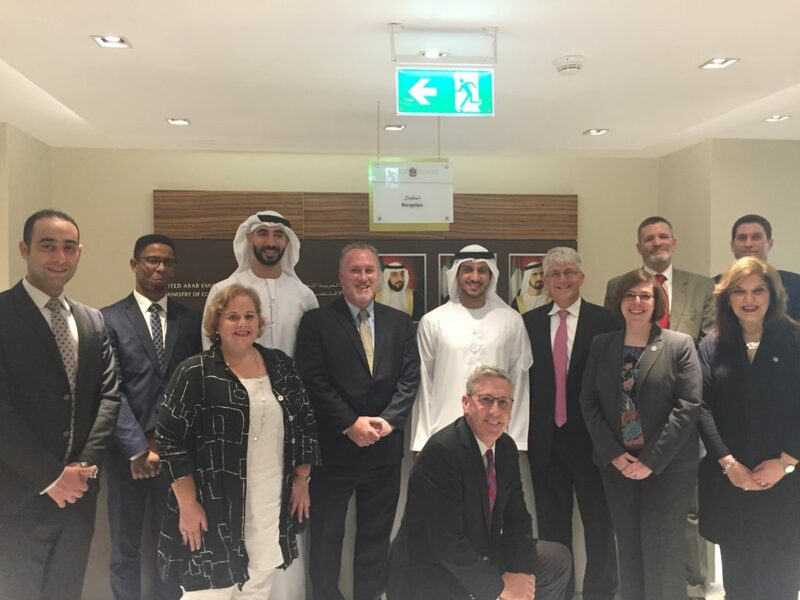 Embassy in Washington, D.C., and Etihad Airways co-hosted a reception on Sunday November 11th in Abu Dhabi in honor of a visiting trade delegation from the United States. The delegation, which was led by the State International Development Organizations (SIDO), consisted of international trade directors from the states of Alaska, Delaware, Georgia, Missouri, and North Carolina. The reception provided an opportunity for the delegation to meet leaders of the U.A.E. business community and explore partnerships in a variety of sectors, ranging from aerospace to healthcare to technology. At the outset of their visit to the U.A.E., the delegation was welcomed by Thomas Bruns, Senior Commercial Officer at the U.A.E. Embassy in Washington, D.C. The delegation also met with key U.A.E. federal government officials, including His Excellency Juma Mohammed Al Kait, Assistant Undersecretary for Foreign Trade Affairs at the Ministry of Economy, and His Excellency Mohammed Sharaf, Assistant Minister for Economic and Trade Affairs at the Ministry of Foreign Affairs and International Cooperation. Abu Dhabi Global Market (ADGM), a financial free zone that is playing a pivotal role in positioning Abu Dhabi as a global center for business and finance. Dubai South, an emerging master-planned city that is projected to sustain a population of a million people and create 500,000 jobs, while eventually being home to the world’s largest airport and hosting landmark events such as the Dubai Airshow and Expo 2020 Dubai. Jebel Ali Free Zone (JAFZA), a base for over 7,000 companies, including 100 Global Fortune 500 companies.